Sometime ago, I received a box full of goodies from Mont Bleu of Czech Republic. These are seriously way up the "kikay" (girly, hip, & trendy) radar. Tweezers, Brush (wait til you see the embellishments at the back ;-D), and a Glass File. So pretty! Swarovski Tweezers CT-1.6 retails at 12,00 € Product Feature: Turquoise Tweezers hand decorated with Swarovski crystals. Comes with a slanted tip for perfect eyebrow shape. Turquoise colour. Made from stainless steel. I *heart everything Turquoise-y, that's just a trivial consideration, because this pretty tweezers amazingly delivers. I love the slanted tip, it's pointy, but not too sharp to the touch. You also ought to know that I deal with brow woes every so often, I can't live without need my tweezers. Oh yes, this is not only pretty to the eye, this is actually so functional. It grabs even very fine hair, with gentle precision. It's rubberized handle, makes it so nice to the touch, and allows firmer and stronger grip. Plus it comes with a black velvety pouch sleeves, for keeping and makes it handy to have all the time, everywhere. Oh, I have to say it, the embellishments are so, so pretty. 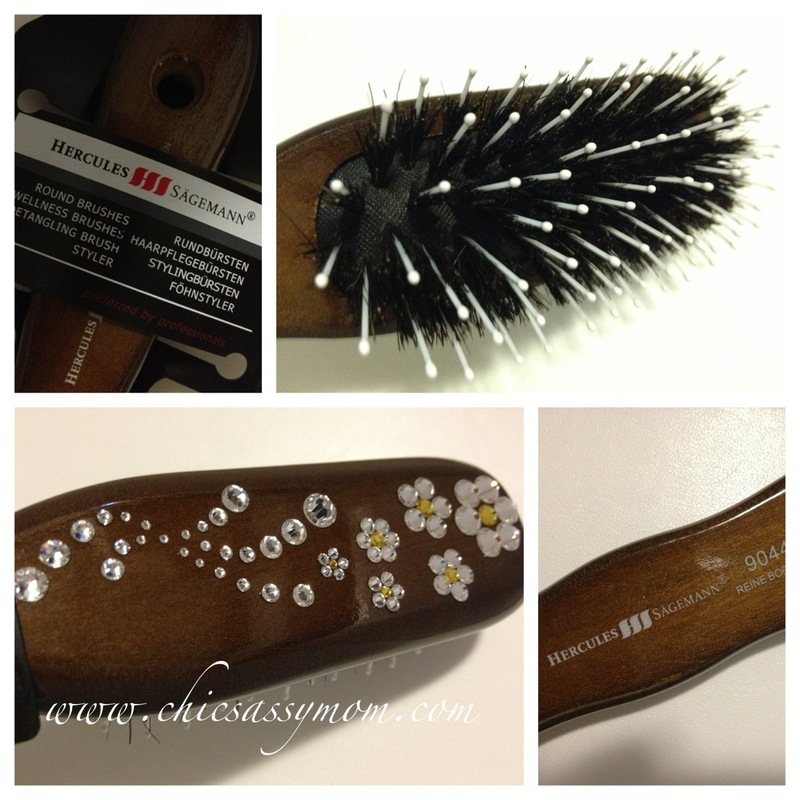 Product Features: Wood hair brushes – wellness hair brushes with pure naturally selected boar bristles and rounded poly-amide pins are hand decorated with Swarovski crystals. Made by Hercules Saegemann in Germany. Preferred by professionals in hair industry. Suitable for everyday use on all types of hair. 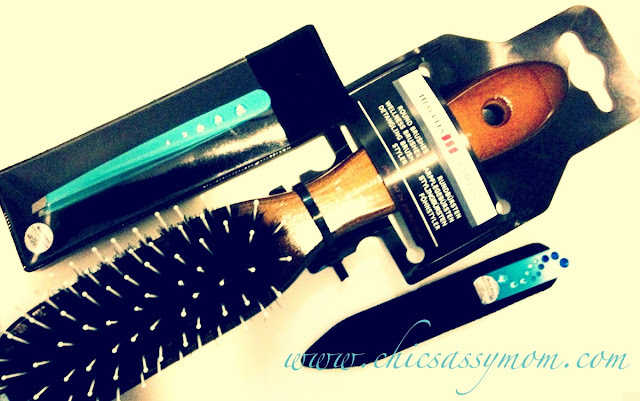 Pure boar bristles are very gentle and do not damage hair; they do not generate static electricity. I love. The bristles are amazingly and delightfully soft and gentle to the touch, as in. While functionally keeping your hair nicely combed. From the initial looks and feels of it, I happily remembers my grandmother, this is such a perfect gift for her. It looks so classy, and regal, plus I swear, the bristles are so so soft. The hundred strokes a day would actually feels such luxurious indulgence. Product Features: Crystal nail files wit a lifetime guaranty on the filing surface. Mont Bleu crystal nail files are made of Czech tempered glass and are very hygienic and have a Health Safety certificate. It comes with a black velvet pouch. This is by far my prettiest nail file ever. It's so pretty that I was at first wary to scratch the surface. But fret not, the heavy scratch marks from usual nail filing don't stay long. And yes, you can wash it, so it's very hygienic. 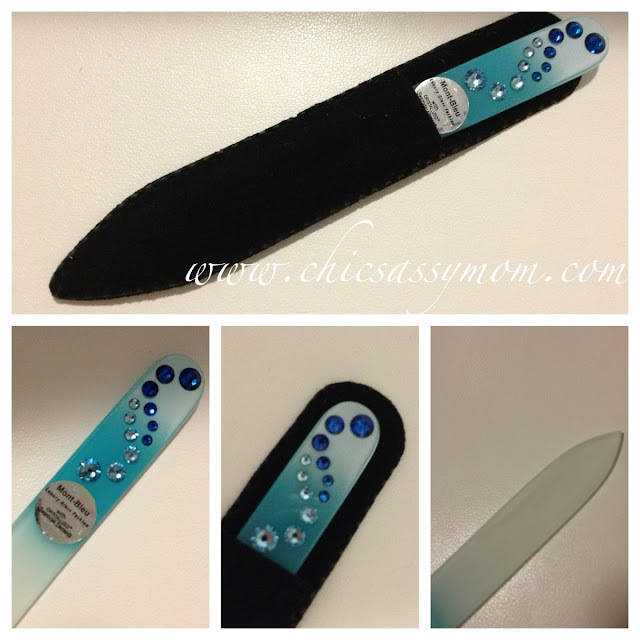 There are so much more to see in the world of Glass Nail Files. It's amazing. I just have to hand it to Mont Bleu, the intricacy of designs...Stellar! I am actually loving and coveting the luxury makeup brushes, wow! So yes, this be a main stay to my "kikay" kit along with the tweezers. Now, off to the giveaway. Yay! This is open Worldwide. Prize is for a Mont Bleu Gift Card worth one medium file with crystals (10,00 €), and one mini file (4,00 €). Plus international standard shipping rates. 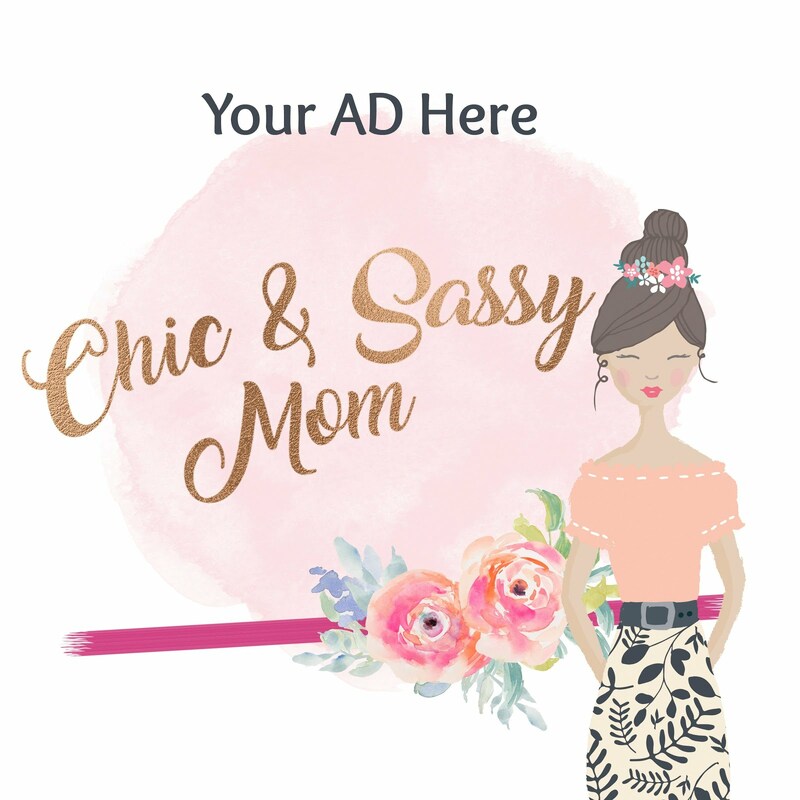 The giveaway is worth about $23.00! Mont Bleu Ltd Company is one of the world leading suppliers of glass nail files. 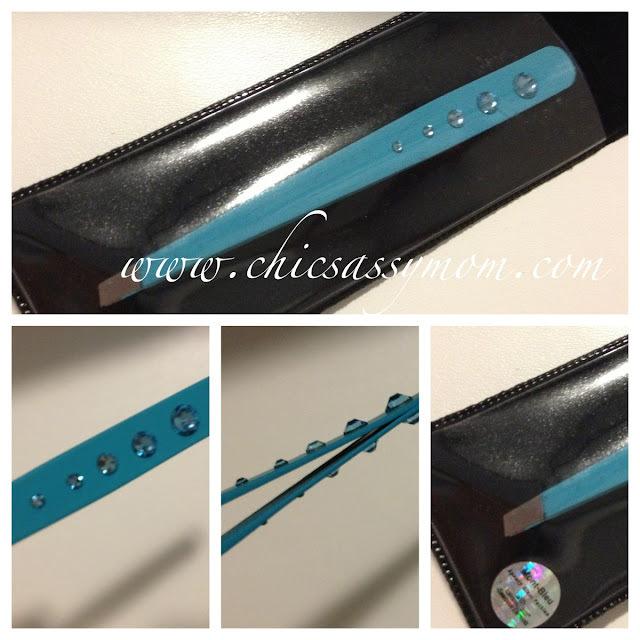 Its glass nail files are made of high quality Czech glass; they are decorated by patterns, or by Swarovski crystals. At present the company is growing, and are now one of the main producers of the accessories decorated with original Swarovski crystals in Europe. Mont Bleu delivers its products all over the world, USA, Canada, Israel, CIS countries, Asia and from all over the EU. Sells on retail and wholesale. 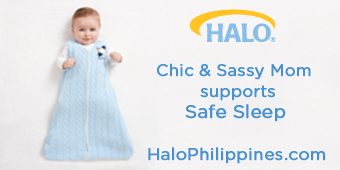 For more information, and seasonal promotions, visit the following sites. Im joining! Hope to win.